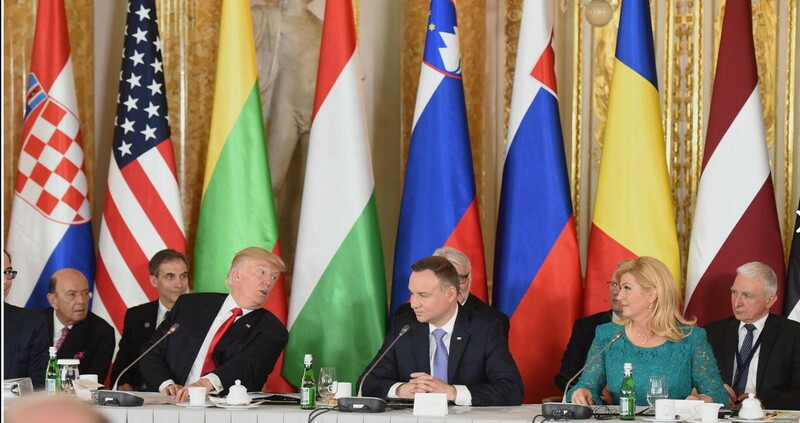 US President Donald Trump attended the 2017 summit of the Three Seas Initiative in Poland on Thursday 6 July, which is hoped to boost economic ties between the United States and the ex-communist countries of central and Eastern Europe. The Three Seas Initiative is a joint Polish-Croatian project, launched in 2016, with the aim of strengthening trade, infrastructure, energy and political co-operation among countries bordering the Adriatic, the Baltic and the Black Sea. The following 12 countries are part of the initiative: Poland, Hungary, Czech Republic, Slovakia, Romania, Bulgaria, Lithuania, Estonia, Latvia, Croatia, Slovenia and Austria. Most of the 12 countries were in the Soviet sphere of influence after World War Two until 1989 and more than half of those joined the European Union in 2004, while Croatia joined in 2013. Nearly all are heavily reliant on Russian gas and oil imports and the Three Seas Initiative intends to usher in an independence from Russian energy supplies. On the sidelines of the Summit of the Three Seas Initiative, Croatia’s President Grabar-Kitarovic held a bilateral meeting with the President of the United States of America Donald Trump with whom she discussed bilateral issues, the situation in South East Europe, energy and energy security, transatlantic relations, the fight against terrorism and uncontrolled migration and the future of the European Union after Brexit. 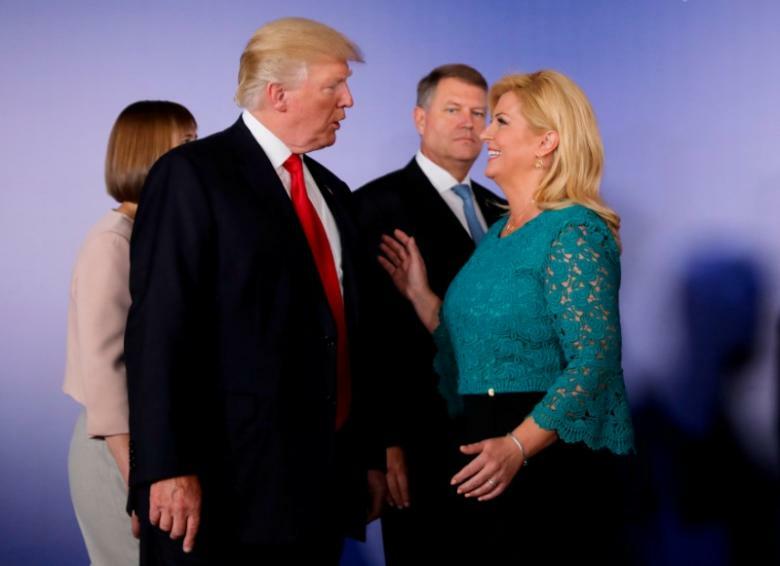 The President of Croatia told the US President Trump that Croatia appreciates the American position that the issue of the border between Croatia and Slovenia is a bilateral issue. Croatian President Kolinda Grabar-Kitarovic said Poland’s north-western Świnoujście LNG terminal and one planned on the island of Krk in Croatia would be connected in order to secure regional energy independence. Grabar-Kitarovic said the two gas terminals would not be in competition, but that they would complement each other. U.S. President Donald Trump, in a meeting with Croatian President Kolinda Grabar-Kitarovic in Warsaw, “expressed support for timely completion of the Krk Island liquefied natural gas facility” as the nation seeks to diversify its energy sector, the White House said in a statement on Thursday. Trump also urged Grabar-Kitarovic “to do everything possible to advance regional reconciliation” in the western Balkans, the White House said. The President of the Republic of Croatia Kolinda Grabar-Kitarović moderated the Transatlantic session in Warsaw. “US President Donald Trump emphasised that the Three Seas Initiative can help in constructing energy infrastructure in Central and Eastern Europe, mentioning explicitly a floating terminal for liquefied natural gas (LNG) on the Croatian island of Krk. “I congratulate your states for having already commenced key projects that will remove obstacles and enable better access to energy markets and better energy connectivity. One of these projects is also a floating LNG terminal on the Croatian island of Krk,” said US President Trump speaking at the opening of the Summit in Warsaw, where the leaders of twelve Central and East European countries have met. 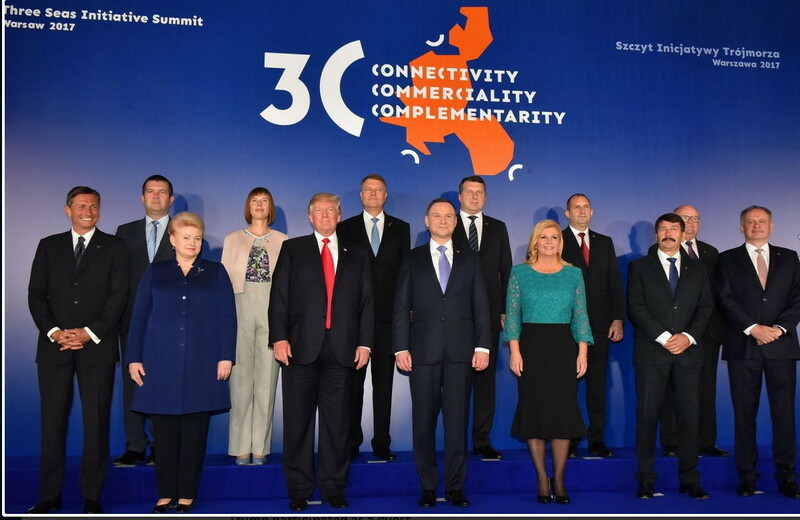 The Summit of the Three Seas Initiative in Warsaw, where President Trump is the guest of honor, is devoted to strengthening concrete trade, infrastructural, energy and political cooperation in the area between the Adriatic, Baltic and Black Sea. He called the Summit “historic,” emphasizing that this part of Europe has special significance for him. “As you know, my wife comes from Slovenia and she loves Slovenia,” said the US President. He expressed that the United States’ support to this meeting and the Initiative can help in creating a sustainable and accessible energy market and can bring citizens prosperity. “Allow me to say on behalf of the American people that we stand behind the states of the Three Seas Initiative, we support you in your efforts to create greater prosperity, construct infrastructure and I welcome this historic chance for deepening economic partnership with your region,” he said. The Three Seas Initiative is a joint Croatian-Polish project launched in the summer of 2016 at the meeting in Dubrovnik with the objective to strengthen trade, infrastructural, energy and political cooperation in the area between the Adriatic, Baltic and Black Seas. 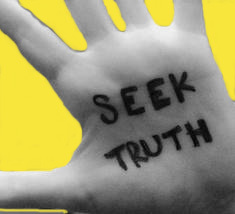 The Initiative is designed as an informal platform for ensuring political support and action in concrete projects, and gathers twelve states – Croatia, Poland, Hungary, the Czech Republic, Slovakia, Romania, Bulgaria, Lithuania, Latvia, Estonia, Slovenia and Austria. The Initiative is strongly supported by the United States and China. President Grabar-Kitarovic said that in Europe, there is still a need to eliminate “artificial divisions in ‘old’ and ’new’, ‘eastern’ and ‘western’ Europe” even after the “iron curtain” was physically removed its remnants are still felt in a fragmented Central Europe. “We are Central Europe and we want to be central to the European Union and transatlantic community, just as any other Euro-Atlantic country. 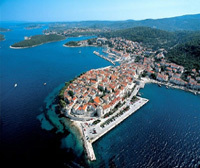 We don’t want to be part of the periphery,” stated the President of Croatia. She added that this is not “against” something but rather something “for”. “Our goal is to work on connecting our countries for the sake of the cohesion of Europe and the Euro-Atlantic community, because together we are stronger,” indicated President Grabar-Kitarovic. I am so very proud of our Croatia, of all the countries in the Three Seas Initiative and of President Trump for his recognition that this is something important afoot. Ina, more people need to know about these things. Thank you for this article. I don’t understand the enthusiasm for anything Trump proposes or says. In six months in office, his administration has shown zero follow through. Further, getting the American President to say they support something used to mean something. Now, those words ring hollow. Croatia should not rely on the US right now. Frankly, few countries should. Right on Eric Ragot !!!!!! Are there any goals to exploit the shelves of these seas? If Trump is involved you can sound the death knell now. The likelihood of his advancing anything that removes control from Russia is slim to none. He’s ineffectual unless of course you’re looking for lessons in tweet. Sorry. Make no mistake Trump has an agenda and smells rotten !!!!!! GOOD EFFORTS DO COME–AND PRES. TRUMP IS NO “LEAD FROM BEHIND” PFRESIDENT, PRAISE GOD–WILLING TO WORK AND SUPPORT! This is the first I’ve ever heard of the Three-Seas Initiative, Ina. Thanks for sharing! So glad to be the first, Kev 🙂 Thank you and cheers. Not surprisingly, the American press did not report on any of this, but they don’t ever report anything positive about Trump. Funny. You assume that I only read American media. Given I read this blog, likely have some interest in Croatia, and, not that you would know this, it is my job to know what’s going on in the world, that assumption isn’t warranted. Not you Ina. This was a response to another comment about American Media. I saw something about the Three Seas Initiative on baltictimes.com, an English language newspaper covering the three Baltic countries. What Pres. Trump said in his speech during his state visit to Poland could be said for Croatia in historical experiences. Ina, you are most welcome. The member countries of the Three Seas Initiative have millions of immigrants and descendants in the USA & Canada. NATO countries promoting peace through strength, trans-national corporations seeking opportunities for growth, and NGO’s would do well to work with the Polish American Congress, the Atlantic Council, and other groups, which are trying to move the Three Seas Initiative from rhetoric to reality in order to create a prosperity zone, integrated from north to south, which will include the countries between the Baltic, Black, and Adriatic Seas, or the Intermarium. The Three Seas Initiative must succeed in order to prevent a power vacuum from developing in this part of the world in the twenty-first-century. Twice in the twentieth-century, a power vacuum in the Intermarium was the underlying cause of the two world wars. The promotion of peace through economic prosperity in the Intermarium is the strongest reason why governments and trans-national corporations should provide investment capital for the Three Seas Initiative. Thank you Klara, a truly worthwhile project in my opinion.